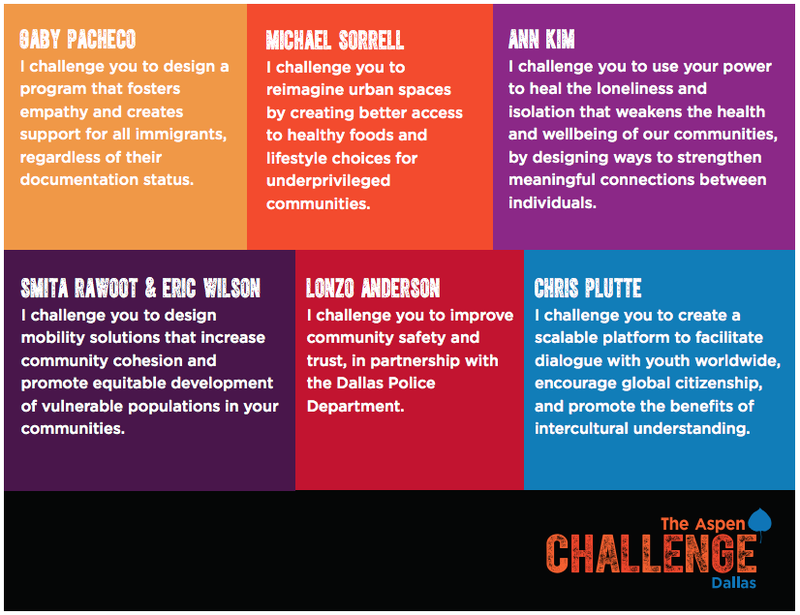 The Aspen Challenge launched in partnership with Dallas Independent School District in 2018. Twenty teams from across the city participated. In its sixth year, the Aspen Challenge launched in partnership with the Dallas Independent School District. Over eight weeks, teams of students from high schools across Dallas designed and original solutions to pressing issues in their communities and showcased them for a panel of local judges. Dallas Independent School District is considered to be “one of the fastest improving urban school district in the country,” according to the Council of the Great City Schools. It currently is serving approximately 157,000 students, and is the second-largest public school district in Texas, and the fourteenth largest district in the country. Dallas ISD has seen continual gains in student achievement, and strives to help ensure the success of every student. Upon graduation, more district graduates are college and career ready, and primed to be productive, contributing members to the community.